The travel division of CNN has put out a list of the most dangerous and remote islands in the world, and some of their far-flung choices may be familiar – while others are virtually unknown. 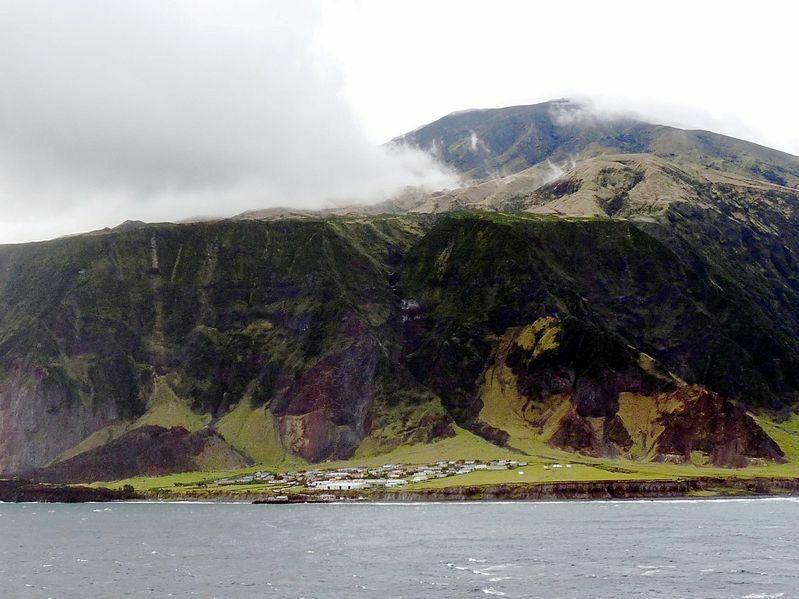 When CNN Traveler went searching for the most foreboding islands in the world, some of their picks were obvious choices – Tristan da Cunha, for example, which is widely known as the most isolated inhabited island on earth. The list of 7 “most dangerous and remote” islands, however, did offer surprises with a couple of far-flung isles that are virtually unknown. Tristan da Cunha and Bishop’s Rock are the two most high-profile islands to make CNN’s list. Found in total isolation in the south Atlantic, Tristan is a lonely 1,750 mile trek from South Africa, with journeys taking up to 6 days by ship and no luxurious accommodations to be found upon arrival. At a relatively-accessible 30 miles from the Cornish coast, Bishop Rock isn’t the most remote of islands, but has another claim to fame: the smallest island with a building on it, according to the Guiness Book of World Records. 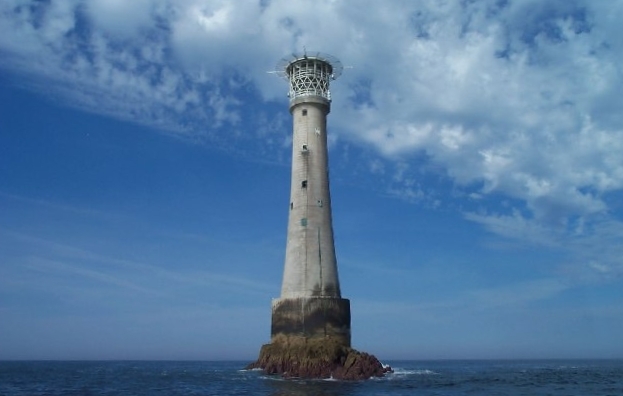 Looking identical to its namesake chess piece, the island has almost the exact diameter of the base of its lighthouse. Two other “dangerous islands” on the list are found in the seemingly rather prosaic British Isles; Boreray, off the Western coast of Scotland, and Ireland’s craggy Rockall. Part of the Outer Hebrides, Boreray was inhabited for millennia, but still bears the distinction, according to CNN, of having had fewer people land on its shores than reach the peak of Mt. Everest since the 1950s. Far into the North Atlantic, Rockall is even more remote, and has a certain dangerous allure all its own. 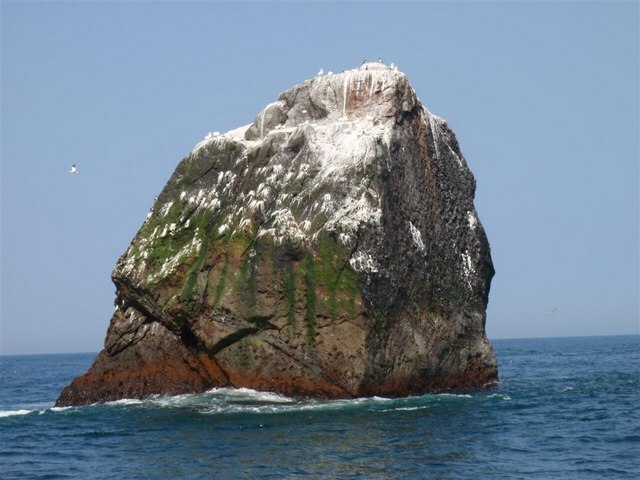 Remnants of an extinct volcano, the jagged outcropping is constantly lashed by high seas and is at times completely inaccessible. This hasn’t stopped enthusiasts from trying to visit the island, however, sometimes setting up camp for months at a time. The sheer ice cliffs of Bouvet Island, 1,000 miles from Antarctic, are a clear hazard to visitors, making this glacier-covered isle the least-travelled on the list. Almost at the other end of the globe, CNN picked Bear Island, found 400 miles north of mainland Europe at the tip of Norway’s Svalbard Archipelago. This uninhabited island is mainly known for its skinny-dipping club, which boasts over 3,000 hardy souls willing to swim au natural in the frigid waters offshore. 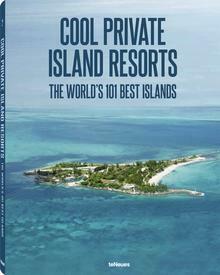 The last island on the list is found in a far more hospitable climate – but that’s it for hospitality. North Sentinel Island, north of Myanmar in the Andaman Islands, is populated by an indigenous tribe of unknown number who violently reject contact with the outside world. The tribe has been known to attack any ships that drift to closely to North Sentinel, and the island is wisely considered a “no-go” zone by surrounding governments. CNN’s list is full of interesting, and at times little-known islands – but many others spring to mind as well. Brazil’s island of deadly snakes, Ilha da Queimada, is straight out of a horror film – and famous for its poisonous, man-eating “dragons”, Indonesia’s Komodo Island is a place most people would fear to tread. 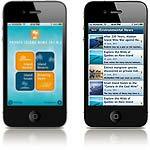 There are no doubt countless others isles that could be included in a “most dangerous” list, whether the hazards are from hostile location or lethal inhabitants. One thing is for certain – when people’s thoughts drift to being blissfully shipwrecked on a remote island, none of the places on this list will be coming to mind!